Ayam pongteh is nyonya braised chicken with shitake mushroom and potato. 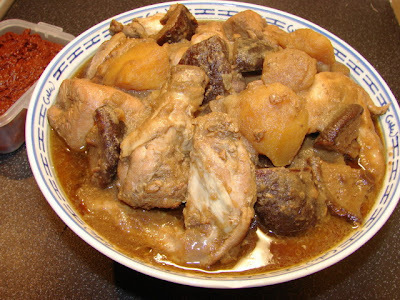 This is a popular nyonya dish eaten at most festivals or celebrations. This dish is normally not spicy (unless chilli is added) but quite rich in flavour enriched by lots of shallots, garlic and fermented yellow beans. The recipe is pretty much influenced by Chinese. 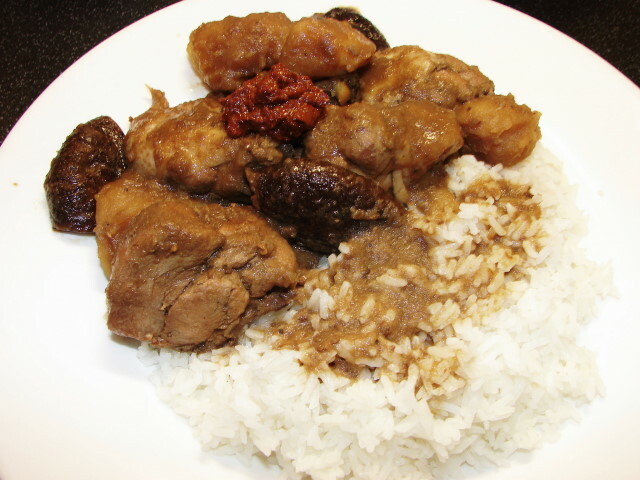 To add a very Nyonya touch to this dish, sambal belacan can be eaten as an condiment with Ayam Pongteh. 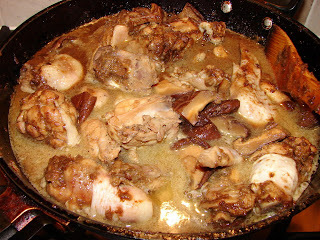 Recipe qty makes a big pot. You can half the qty if you like. Cut chicken into large chunks. 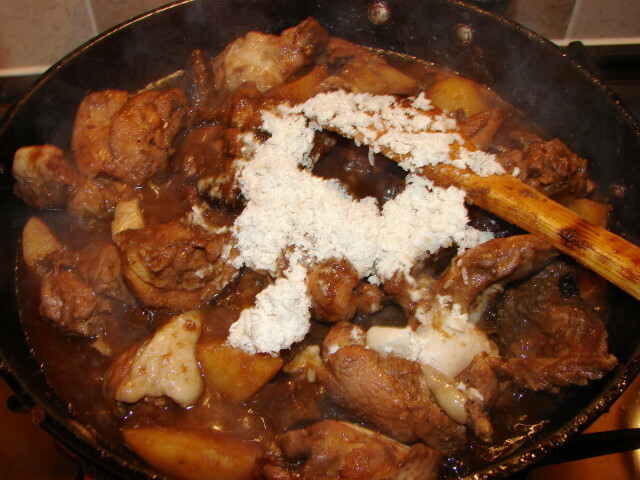 Mix with light soy sauce and ground pepper. 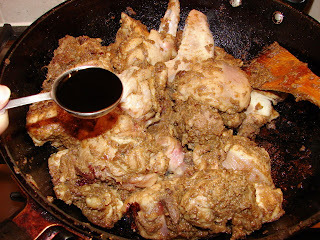 Leave to marinate for few hours or overnight in the fridge. 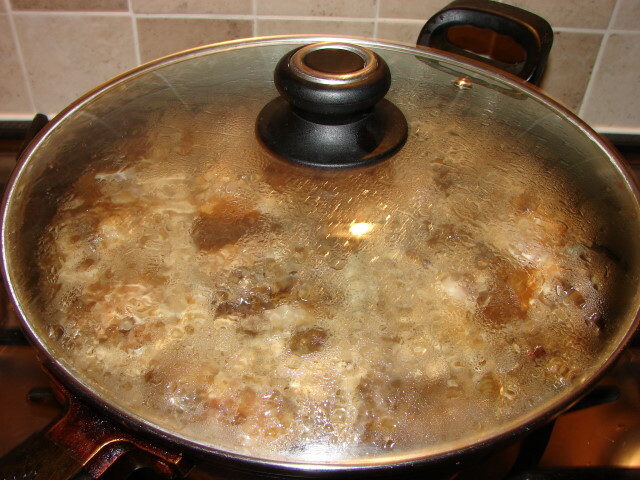 This makes the chicken more flavourful and tender. If you don't have time just mix with soy and go ahead with the cooking. 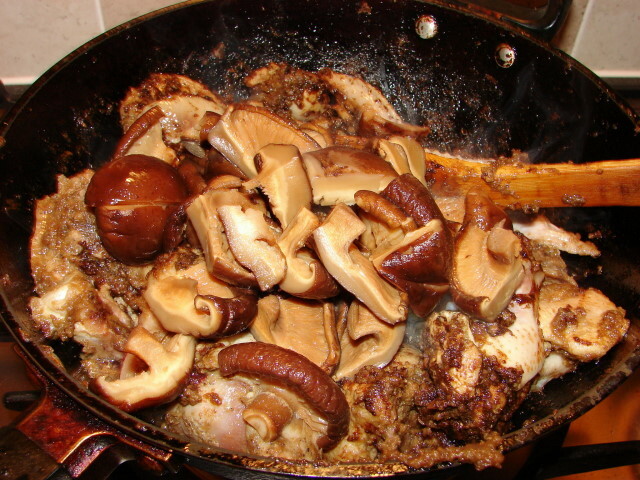 Soak mushroom with warm water for 1 - 2 hours till very soft. Keep soaking water for later. If mushroom are large cut into smaller pieces. If you don't have time, put the mushroom and water in a bowl or jug (put a small saucer or plate on top to make sure mushroom submerged in water), heat in microwave at medium power for few minutes, this helps to soften the mushroom faster. Peel shallot and garlic, cut into smaller pieces. 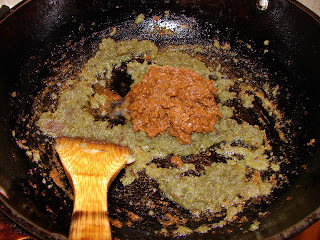 Blitz with mini blender or pound with pestle and mortar to a smooth paste. 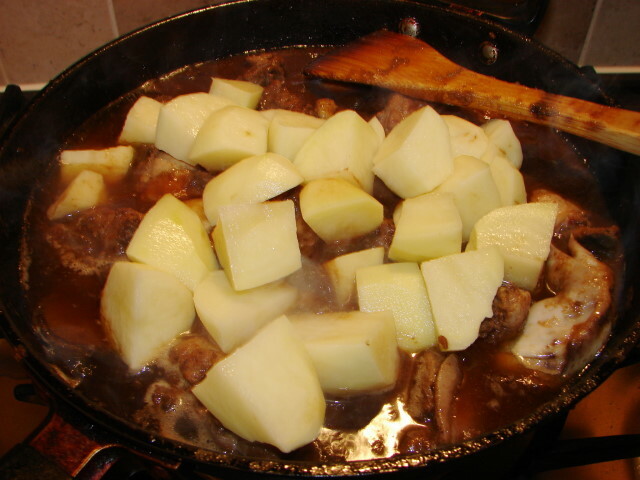 Peel and cut potato into chunks, soak in water to avoid potato getting brown. Mash yellow beans with fork. Once preparation is done ready for cooking. 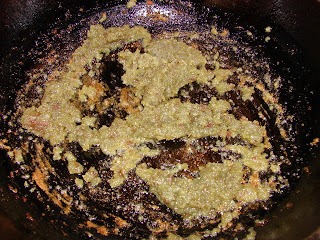 Heat oil at medium heat, add shallot and garlic paste. Stir and scrape the pan for about 10 minutes till paste is reduced to nearly half and paste looks oily. Add yellow bean paste. Stir for a while. 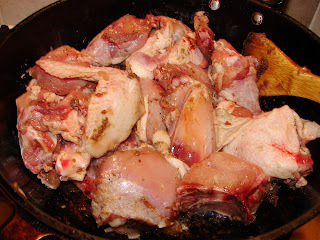 Add chicken pieces. Stir for couple of minutes. 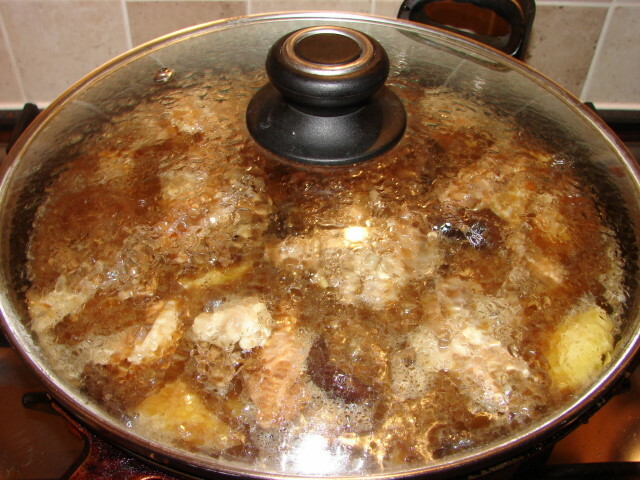 Add mushroom soaking water and plain water to nearly cover the chicken pieces. Let the liquid come to the boil. Continue simmering till potato is cooked and chicken is tender. Add enough palm sugar to taste. If sauce is thick add some boiling water. Stir. 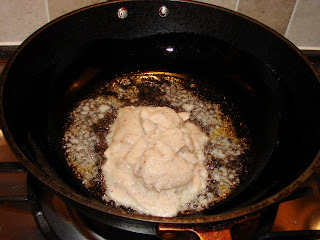 Tilt the pan and skim off most of the fat/oil* floating on the sauce. Ready to serve. * The skimmed fat/oil is flavourful, put this in the the fridge and use it to stir fry vegetables. Serve Ayam Pongteh with rice and small dollop of sambal belacan.